Makibes has released its a new 4G smartwatch phone, Makibes M3. The device comes with powerful specs such as Dual chip processors, high camera resolution, IP67 waterproof as well as huge battery capacity and large memory space. Design: The smartwatch with camera comes with a unique look and large display screen similar to Lemfo Lem9. it has a ceramic bezel with a detachable strap, you can choose to swap it with another strap of your choice. on the right side of the panel, you will find two control buttons with an 8MP camera. Regarding the display screen, the Makibes M3 smartwatch has a high-resolution display, it’s a 1.39 inch full round AMOLED screen with 454*454-pixel resolution, can clearly display in sunlight, which further exaggerates its quality and beauty. Chinese smartwatches are the most budget smartwatches in the markets. and in 2018, we were blessed with more smartwatches than ever before. In 2019, we are expecting more and more of smartwatches. The LEM X smartwatch comes with powerful functions similar to the smartphones, it has a 2.03 inch AMOLED HD big screen, 640 x 590 resolution, which makes it easier and more convenient to operate. With 8.0MP Camera no matter you are in friends party or journey, you can clearly record. 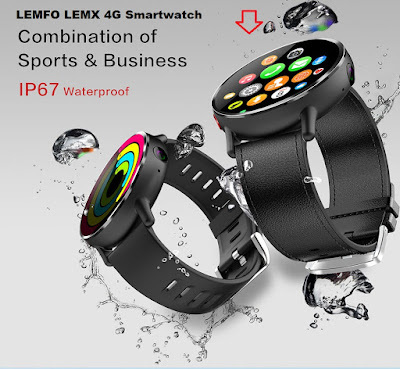 LEMFO LEM X is powered by an MTK 6739 1.5GHz processor, it has 16 GB of internal storage as well as 1GB RAM and running Android 7.1. it is an IP67 waterproof smartwatch, Built-in nano-SIM card slot and support a 4G connectivity. A smartwatch with camera is a smartwatch that can take photos and record videos without the need smartphone. Recently! we have seen many smartwatches could do that, so what is the best smartwatch with a camera? This smartwatch comes with high 8MP camera resolution, which is a high camera in smartwatches even now. It has a metal body with a detachable TPU strap, you can change another suitable 24mm band. on the side, there are two physical buttons with 8.0MP Camera as well as a speaker. While the screen is 1.39 AMOLED with 400x400 pixels resolution as well as touch screen and press button operating modes. 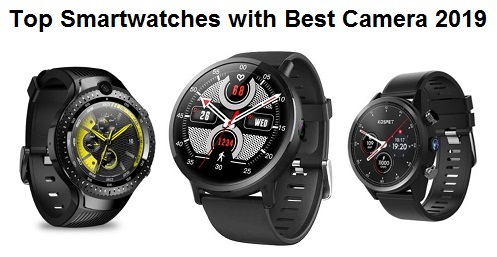 The standalone smartwatch is powered by an MTK6739 Quade Core processor with 1.25GHz speed, it has 16GB of storage space and 1GB of RAM, and running the latest Android 7.1. the smartwatch supports 4G connectivity with its nano-SIM card slot, additional connectivity includes WIFI, GPS, Beidou, Glonass, Bluetooth 4.0. The popular LEMFO manufacturer is back again with its new smartwatch LEMFO LEM 9. If you are a fan of Lemfo smartwatch, I am pretty sure you will love this one, The device comes with a new beautiful design and some improvement in the display as well as the battery with 5 days of standby time. LEMFO LEM X and LEMFO LEM 9 both from LEMFO manufacture and both of smartwatches have different specs and design, the big difference is that LEM 9 has dual systems, which means you can use it as a smartwatch or as a smart bracelet for saving the battery, while LEM X you can use just like a smartwatch. Check this new comparison between LEMFO LEM X and LEMFO LEM 9. Kospet Hope! When I saw this smartwatch, I surprised, also you will surprise too, a smartwatch with 3GB RAM and 32GB ROM! it like a smartphone, Actually there is a lot of smartphones do not have this big RAM and ROM. Kospet Hope smartwatch has a circular design with a silicone strap. The smartwatch has two physical buttons for navigation and on between is a camera with 8.0MP resolution. having a 1.39inch AMOLED display, 400*400 pixels resolution with touch screen supports. 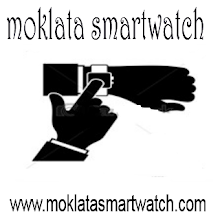 Smartwatch News is the best website of smartwatches and smart bands News, reviews, and comparison. Like Chinese smartwatches, Android smartwatch, smartwatch phone, fitness tracker. Bakeey L11, a smartwatch that has a similar look to the NO.1 F18. The wearable has a sporty look with its stainless steel body and a TPU strap, it has also five physical buttons, three in the left and two in right,as well as the HRS3300 sensor and BSH253 G-sensor . The Bakeey L11 has 1.22inch IPS color screen, with 240 x 204 resolution and weighing just 53g. The Bakeey L11 is a smartwatch with the fitness trackers features, it has a IP68 waterproof that is suitable for swimming, but can not operate the buton in the water. it has also a heart rate monitor, blood pressure monitor, calories measuring. other features are pedometre, sedentary reminder, stopwatch, alarm alert, anti-lost alert, remote camera, call and message reminder and Bluetooth 4.0. it has 180 mAh polymer battery with 7 days of standby time. Where to buy Bakeey L11? Bakeey L11 smartwatch is available at Bangood for $35. writer and blogger, founder of SmartWatch News . LEMFO one of the best and most interesting Chinese manufacturers of wearable devices. recently, it realized a new smartwatch called LEMFO LEM X. The LEM X smartwatch comes with powerful functions similar to the smartphones, it has 2.03 inch AMOLED HD big screen which makes it easier and more convenient to operate. With 8.0MP Camera, no matter you are in friends party or journey, you can clearly record. and with 640 x 590 screen resolution. 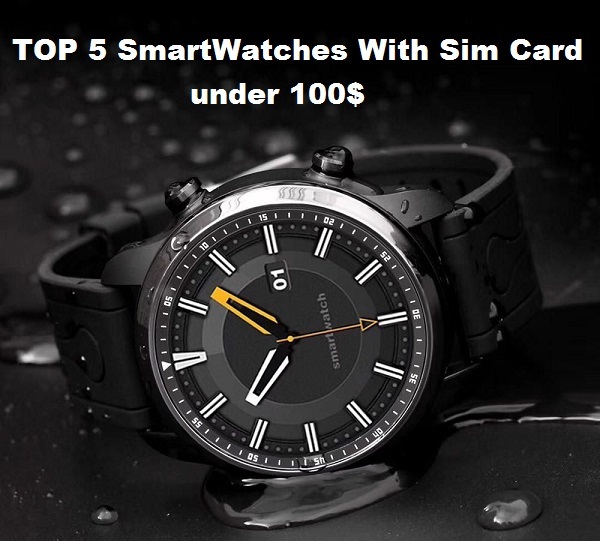 LEMFO LEM X is powered by MTK 6739 1.5GHz processor, it has 16 GB of internal storage as well as 1GB RAM and running Android 7.1. it is an IP67 waterproof smartwatch, Built-in nano-SIM card slot, support 4G connection, and hands-free phone calls. With high-speed data transmission, You can surf the internet anytime and anywhere. Here is a comparison between The latest two Lemfo smartwatches, LEMFO LEM8, and LEMFO LEM9. By the way, Lem8 has released in 2018 while Lem9 in 2019. Design:LEMFO LEM9: This device designed with to mode, you can use it as a smartwatch or as a smart bracelet for saving the battery, it has 1.39 inch full round AMOLED screen with a 454*454-pixel resolution, having two physical buttons on the side as well as the 5MP front camera and powered by IP67 Waterproof Rating. 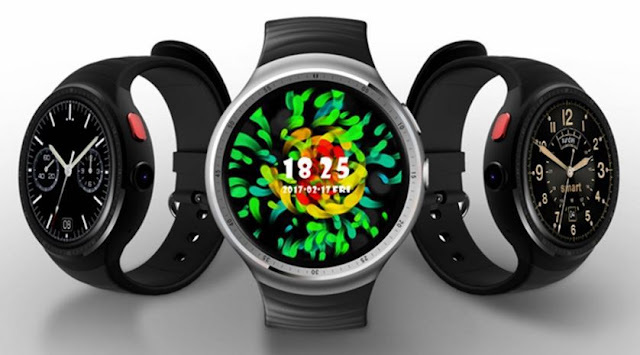 LEMFO LEM8: This device you can just use it as a smartwatch, it has 1.39 inch full round screen with an AMOLED display, 400 x 400 pixels with touchscreen support, equipped with aero titanium alloys watchcase, which is slim and more wear-resisting, Having 2.0 MP camera with IP67 waterproof rating. Specs:LEMFO LEM9: This Android smartwatch is powered by MT6739 Quad-core processor and has 1GB of RAM, 16GB of internal memory and run the Android 7.1. LOKMAT LK08 is a new Android smartwatch with 3GB RAM and 32GB ROM, it's a second smartwatch after KOSPET HOPE that has this huge memory capacity. LOKMAT LK08 comes with a round shape similar to the other Android smartwatches, which is classic and sporty as well. The screen is a 1.39-inch AMOLED panel with a 400 x 400 pixels resolution to give users clear image viewing experience. On the right side of the panel, you will find a couple of control buttons with a 5MP camera. The LOKMAT LK08 is a fashionable smartwatch with smartphone features, it powered by 1.25Ghz MTK6739 Quad core processor and has 3GB of RAM and 32 GB of internal memory. The built-in Android 7.1 operating system and users are allowed to install their favorite applications from Play Store. KingWear KC05 is a new Android smartwatch with a high-resolution camera, it's a 4G watch phone with multi-sports mode, huge battery, IP67 waterproof as well as 16GB of storage space. Design: The KingWear KC05 comes this time with a classic look similar to Finow X7, it has a Metal body with a detachable TPU strap, you can change another suitable 24mm band. on the side, there are two physical buttons with 8.0MP Camera as well as a speaker. While the screen is 1.39 AMOLED with 400x400 pixels resolution as well as touch screen and press button operating modes. With smartwatch with sim card, You will not need the phone today. If you just looking for a budget standalone smartwatch without spending too much money, I mean an Android smartwatch with 3G or 4G connectivity less than 100$, I have to tell you, you are in right place. But before to buy any smartwatch, read the smartwatch buying guide. 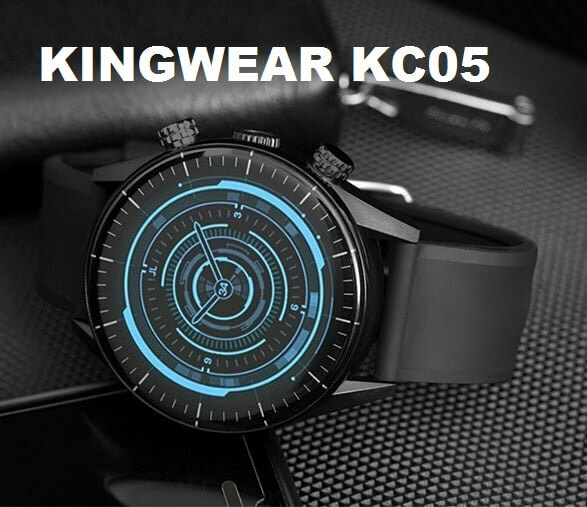 KINGWEAR KC03 is one of few 4G smartwatches that costs less than 100$, it has a classic look with a silicone and TPU straps, having two physical buttons on the side with Enclosed speaker and mic. the Android smartwatch has 1.3inch IPS LCD screen with 240 * 240 pixels resolution and powered by the IP67 waterproof rating (but not suitable for swimming).